Today's guest post is written by my friend, Krista. She's one of those people that just seems to have it all together. We met when we were both living in California. At that time, she had two adorable, well-behaved children, a giant, well-trained puppy, and had just moved into a beautiful house that her husband was renovating. After some time, we both moved away from California and lost touch, except for the occasional Facebook post. Her photos left me wanting more information. That curiosity prompted me to ask her to write a guest post, because I knew her story would be interesting for all my readers. I struggled to know in which week in the #LightTheWorld campaign to publish this post. The Light the World week certainly fit, but Light Your Family week also would be appropriate. Ultimately, my impatience to publish won out. I think you will agree that Krista is an amazing person and a great example! Two years ago, my husband and I decided to do something different for our kids for Christmas. We realized that our wants were far exceeding our needs, and we wanted to make sure that our two kids understood and felt the meaning of Christmas. 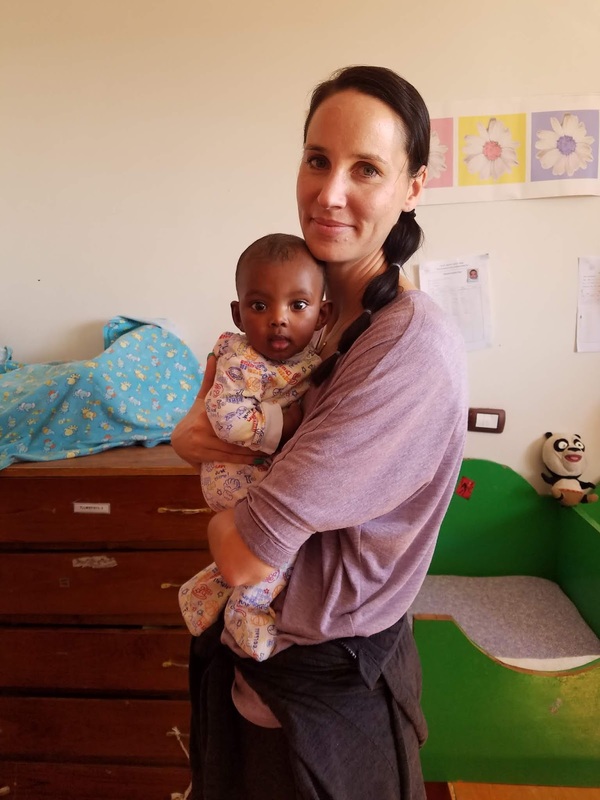 I had always wanted to do some kind of humanitarian work and my husband’s cousin had gone to Ethiopia a couple times serving in orphanages and struggling communities there. So instead of giving our children gifts for Christmas, we decided to give them gifts that they could give to others. 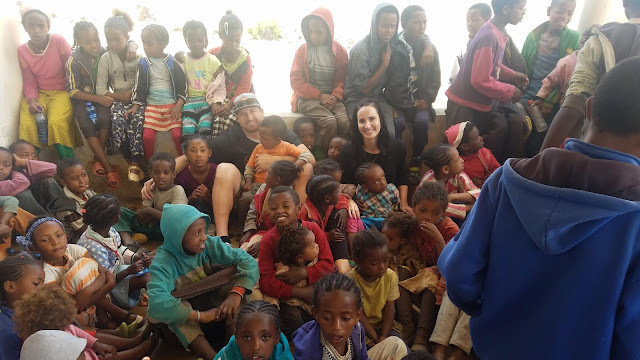 We planned our trip to Ethiopia and wrapped up 300 pairs of shoes, sandals, clothing and simple first aid care in boxes and put them under the tree. We couldn’t wait to see how they would react. Carson was 10 and Macie was 12. Christmas morning came and they unwrapped the presents. Each time getting more and more confused. We had a video ready to play on the tv showing kids in orphanages in Ethiopia. Finally, we asked our kids if they wanted us to explain the Christmas gifts to them. We sat them down on the couch and played the video. Ryan and I didn’t watch the video ourselves having already seen it. We were intensely watching Macie and Carson. The realization finally hit my daughter and she asked, “do we get to send these things to these kids”. I had tears in my eyes and my husband gave them each their tickets with our travel itinerary. 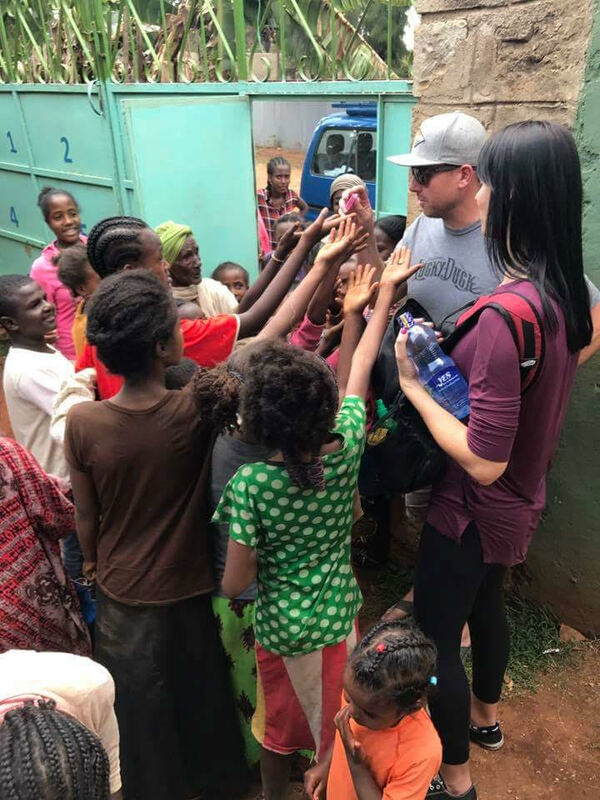 Their excitement showed immediately as they asked again, “wait we get to actually give it to them ourselves?” Our experiences there were countless and will need to be for another time. That Christmas was all that we hoped it would be. Our kids never asked if they were getting a present for themselves which still amazes me even today. Photo: Macie (Krista's daughter) gave each of these two boys a Hot Wheels car, and the boys wouldn't let her go. They insisted that she stay and play with them. 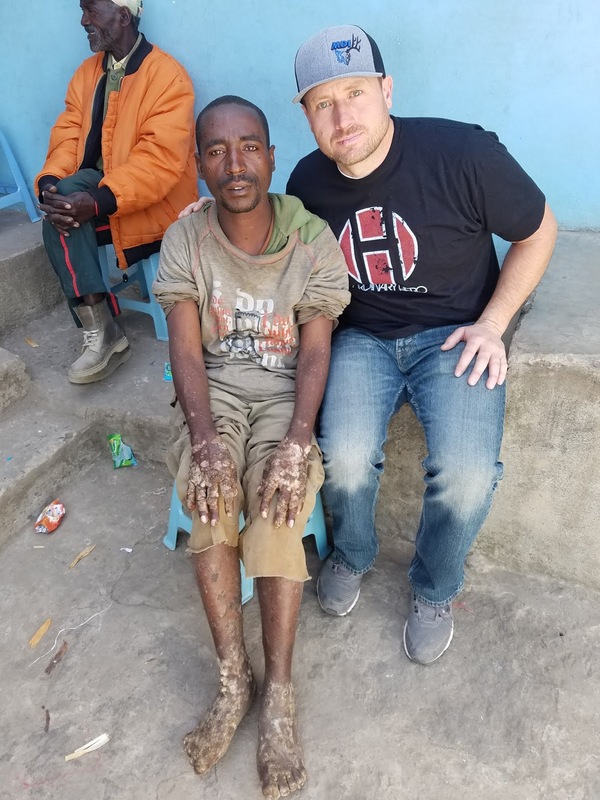 Photo: Ryan (Krista's husband) got the man with leprosy medical care. He (the man with leprosy) said, "Please take my picture with you." It was all he had to give. We cherish the memory and his generous heart of wanting to say thank you in some way. We fell in love with Ethiopia, the culture and its people. When we got home from our 10 day trip we were left with feelings of wanting to do more. Ryan’s cousin who had first told us about Ethiopia came to us some months later and after Ryan and I had already taken another humanitarian trip back to Ethiopia. She wanted to start a non-profit organization that helped the widows, children and single mothers in Ethiopia. We jumped on immediately. 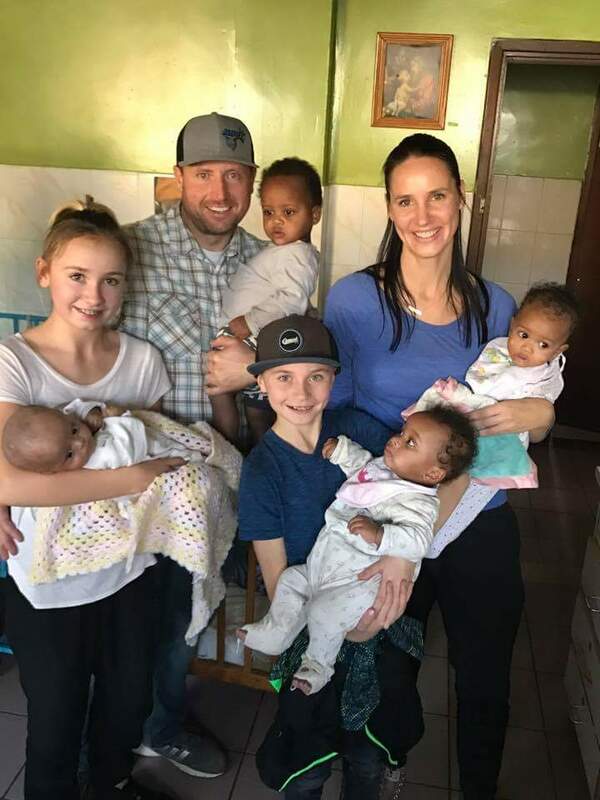 Photo: (Krista's family holding babies from the orphanage.) Cadain orphanage is run by nuns. We took turns holding each of the 22 babies. They don't cry or reach out for you. They just stare at you with beautiful big eyes. Photo: Kids waiting and hoping for a meal, their only meal that day, at a ministry on Entodo Mountain. We got to help feed all of them. Korah Kids is named after the community of Korah. It’s actually the cities trash dump. More than 200,000 people live there. Eating and living on what they find in the trash. They build houses out of garbage and then have to pay rent to the landlord to live in them. Korah is a community of lepers, HIV and AIDS, TB, crippled and outcasts of society. 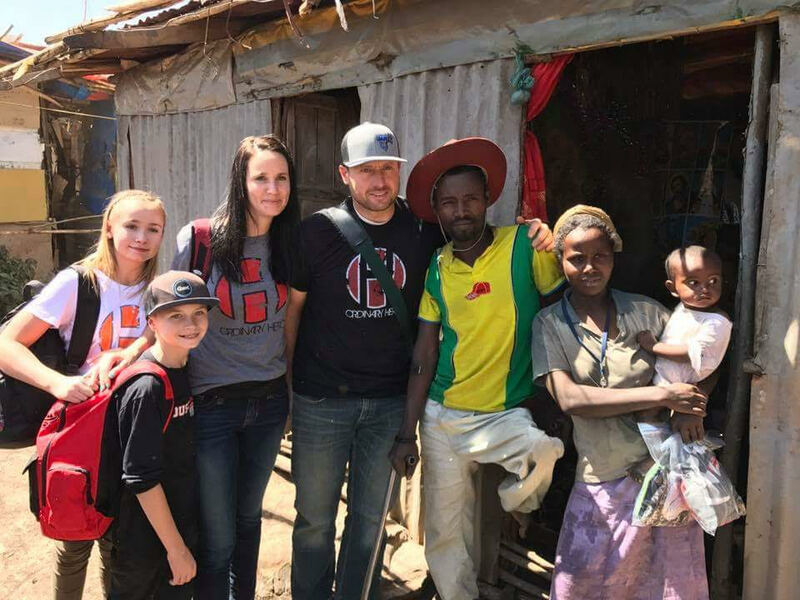 Korah Kids works to improve people’s lives through education, providing food, clothing, rent and other items. 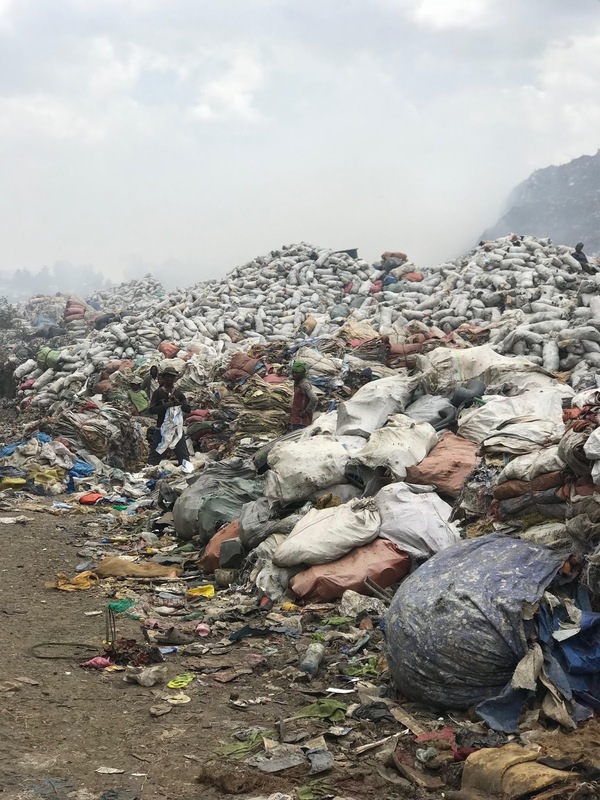 Photo: The huge mountain of trash that is Korah. You can barely make out the people in this photo, but they are there looking for food. 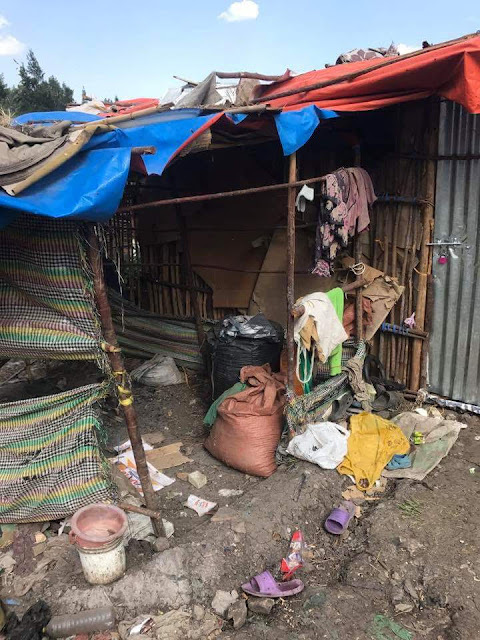 Photo: A house built out of plastic in Korah. Everything in this picutre is another person's garbage. 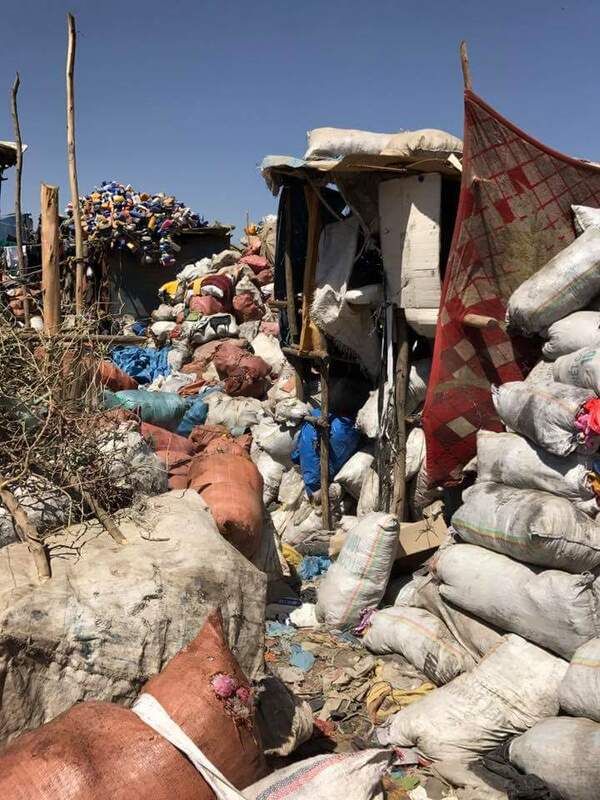 The plastic house is on top of 20 feet of garbage. Fires from the gasses created by decay often break out. Photo: One of the nicer homes in Korah. Notice the metal sides. 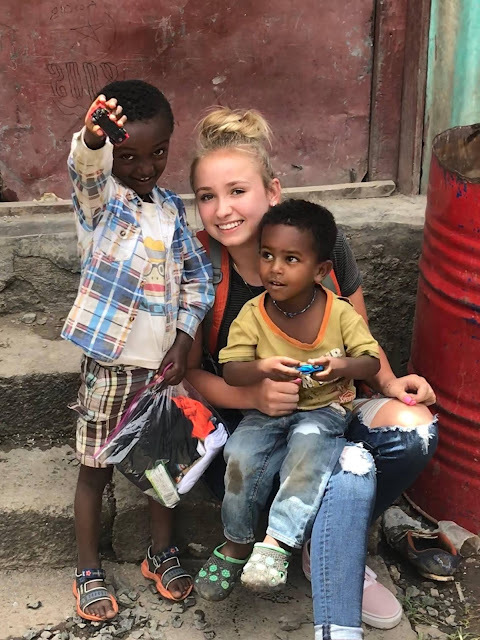 You can help and get involved by following Korah Kids on Facebook and Instagram, going to www.korahkids.com and making a donation or traveling with us on a future trip. Sponsor a child or family through Korah Kids and make their life better. You can make a difference. I’ve seen it. I now have a daughter that lived in one of the orphanages that we visited. We go back often and will be on this January’s team trip to Ethiopia. Sign up and come. If January is too soon, book a future trip. Your life will be better because of it. Give to Live. Photo: A family that lives in Korah. The dad can't get a job because he is crippled. So the family collects things in the trash to hopefully sell. Our team paid their rent of the house we're standing in front of for 3 months. We have sponsored children in many countries, and i hope to make such a trip to help directly someday. It sounds like an amazing opportunity!